Give your holidays a kick with this old school classic, a high top sneaker! 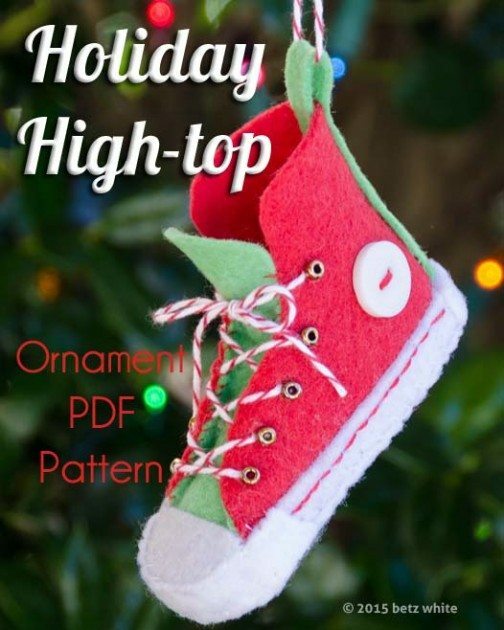 The Holiday High-top Ornament pattern is now available in my shop! 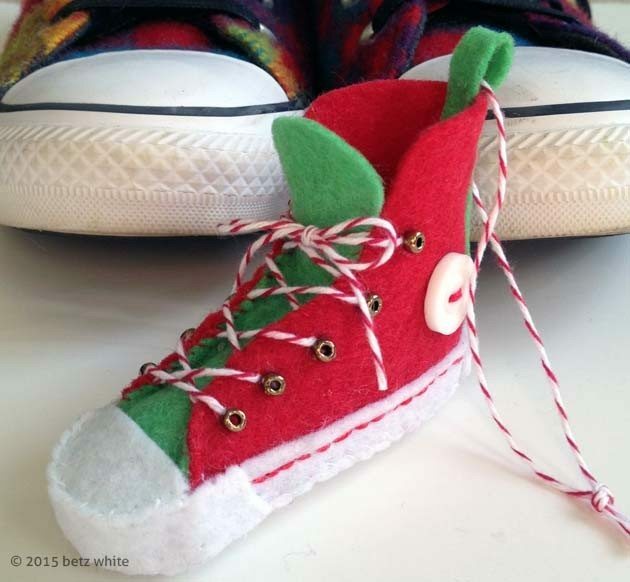 This little ornament was inspired by my fondness for wearing high tops. It is so fun to make and I can think of a ton of friends and family that would enjoy having one on their tree. It can be made in traditional Christmas colors or customize for sports teams. 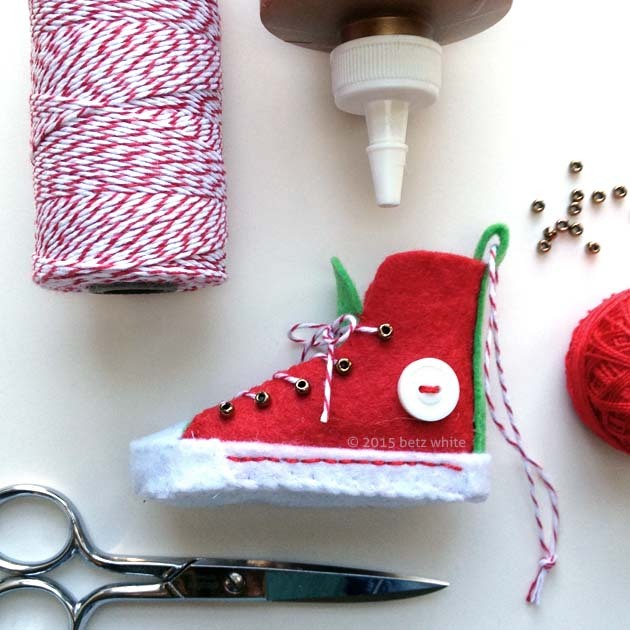 Made with felt using hand stitching, glue, and a few embellishments, the sneaker measures just over 3 inches long and about 2 1/2 inches tall. It’s stuffed with a few pinches of fiberfil to help give it shape. The pattern comes with templates, diagrams and step by step instructions. I’m a sucker for red and white baker’s twine and I love it for the shoe laces! I look forward to this time of year when everyone gets in the ornament making mode! Once I start thinking about new designs, it’s hard to stop. I hope you love this one as much as I do! Visit the shop here to buy!